When relocating your home or business, the most tedious task is transporting your belongings to the new location. You can opt to do it yourself, which will take a lot of time and effort, or hire someone to do the job. If you choose later, the best choice is to employ a man and van service. A man with a van services are usually cheaper than removal companies. This makes them an economical choice especially if the new location is not too far from the origin. When choosing one, be sure to keep these tips in mind. When you are looking for a man with a van service, the first step is to get quotes from several removals companies. You can do search companies online or by calling up companies to ask about their costs. The company with the cheapest rate doesn’t always deliver good service. Check whether the removal company is a reputable one. Some companies offer low rates because they are new to the business and want to establish a reputation. There are some companies that are forced to lower their prices due to their poor standing. 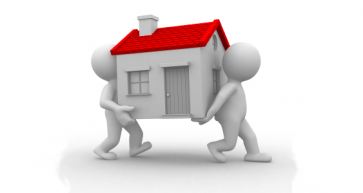 It is also important to consider the location of the house removal provider. It is ideal to get one that is near the location of your new home or office. They will be familiar to the area and will be able to plot the quickest route for the move. The man with a van service must also have experienced professionals who can do the job efficiently and with care. It is important to find out how long the company has been in business and not just a fly-by-night operation. You should also check the reviews of the main with van London company before hiring one. You don’t want to assign the task to a company you can’t trust. Reviews can be read online. You can also ask friends and family members for companies they have hired before. A man with a van company should provide flexible services so that you would not feel inconvenienced during the move. They should be able to do the job according to your schedule and not the other way around. They should be equipped with a GPS device or a map. This way they will not be lost while trying to get to the new location. Before signing the contract, be sure to read its terms and conditions. Make sure that the amount is stated, and there are no hidden charges to avoid confusions at the end of the move.